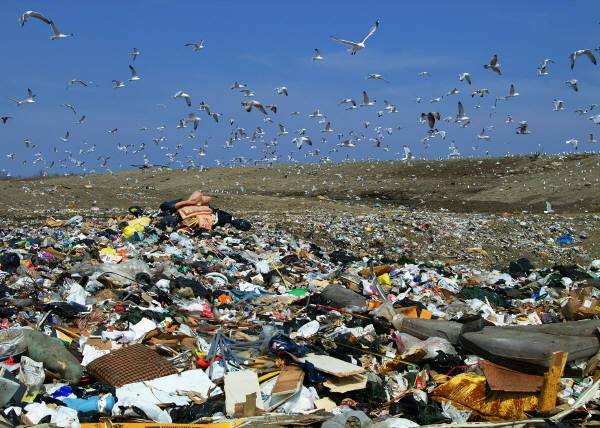 Landfills, also known as garbage dumps, are the oldest form of organized waste disposal. Landfills bury the trash that we throw out every day. Although industrialized nations, such as the United States, have control over waste disposal, it still causes problems for the environment. Plants and animals are routinely and negatively effected by landfills. Trash Knight can help alliviate this issue by helping you to sort & keep garbage in it’s proper place. The plastic bags found to such a large extent in landfills cause many problems for animals. Millions of birds, as well as thousands of marine animals die each year due to the plastic pollution most often found in landfills. Animals ingest bags and starve and get tangled in them and drown every day. Additionally, the toxic particles in plastic bags can enter the food chain when an animal eats any part of it. Organic waste decays in landfills as millions of bags of garbage are processed a day. This decay causes a rise of the production of methane, a dangerous greenhouse gas. Methane adds to the poisoning of the air that affects all life forms, including plants and animals, in the immediate area. Landfills also add to the problem of global warming overall, which can limit or destroy entire species of animals and plants.